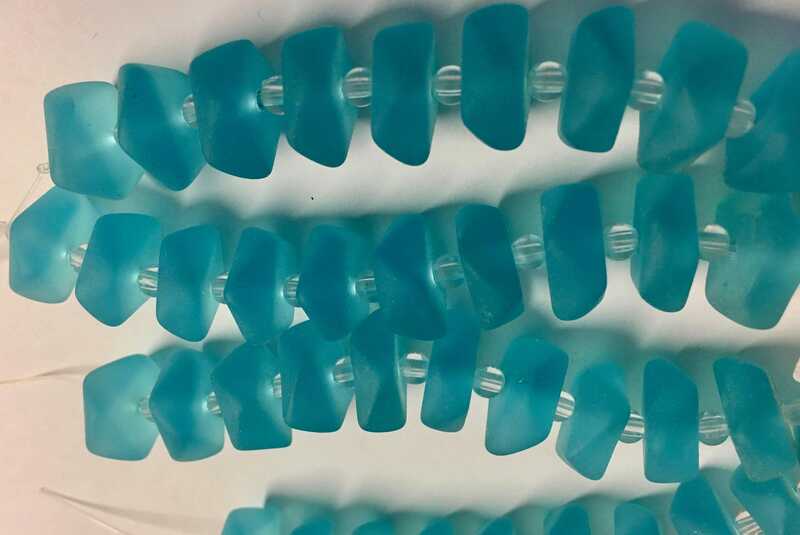 10 cultured sea glass beads, about 6mm x 13mm, flat square shape with wavy edges, aqua blue color. Perfect for jewelry making. Sizes may vary. These sea glass beads are made to mimic sea glass, using mostly recycled glass and a time-consuming design process. Sea glass is bits of glass impacted by seawater and worn down by sand and surf for dozens of not hundreds of years. The resulting frosty polish of these beads make sea glass beads one of the most popular collector pieces out there! These are really great, thanks! love these beads. Just the perfect colors. Fast shipping. Highly recommend this seller. She rocks.